VO2max stands for maximal oxygen uptake and refers to the amount of oxygen your body is capable of utilizing in one minute. It is a measure of your capacity for aerobic work and can be a predictor of your potential as an endurance athlete. VO2 max scores are valuable for endurance athletes to measure their aerobic potential and to track training progress. A pulse oximeter measures oxygen levels in the blood, but Apple disabled this in Apple Watch, for reasons unknown. But now it appears Apple is calculating VO2 max scores for watchOS 4 beta testers when they use the Workout app. 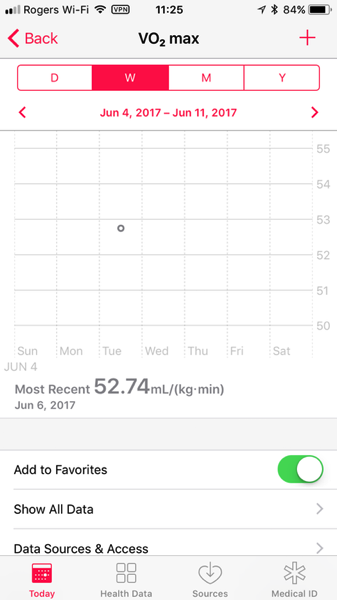 The VO2 max score is viewable in the Health app, as noted by a user on Reddit. So VO2 max calculated by Apple Watch is actually estimated based on your heart rate, but knowing Apple, it’s probably going to be pretty accurate. 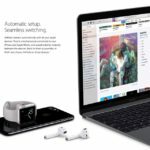 Apple Watch Series 3 is rumoured to launch in the second half of 2017, and it could come with LTE; many probably suspect the next version would include more sensors for improved health and fitness tracking.